Santa Rosa, Calif. (June 27, 2016)—Moving quickly on its commitment to become a bridge between local agricultural employees and existing assistance programs administered by community organizations, non-profits and government service providers as part of its socially-responsible component of sustainability, the Sonoma County Grape Growers Foundation has announced the addition of five new members to its board of directors. The Sonoma County Grape Growers Foundation was relaunched earlier this year to focus on the social responsibility components of sustainability. The Foundation is working with various community-based organizations and government agencies to identify existing resources, leverage available support and create new programs to assist local agricultural employees and their families in the areas of healthcare, affordable housing, childcare and education. “Since we announced the relaunch of the Foundation in January, we have been meeting with local employees and community organizations which have enabled us to truly understand the needs of our agricultural workforce and identify where we can provide the most positive impact on their daily lives. This dialogue has been really valuable in identifying strategic priorities and initiatives to focus our efforts,” said Karissa Kruse, president of Sonoma County Winegrowers, who is also serving as the executive director of the Sonoma County Grape Growers Foundation. The Foundation has been hosting feedback sessions with a number of local agricultural employees to learn more about their specific challenges and needs. Participants include men and women representing all age groups from throughout the county. Translators participate as well to aid in the conversation. These meetings have already proven to be enlightening with childcare and affordable housing being two of the most critical issues discussed to date. For example, there are assistance programs available for childcare, but the locations and hours when that care is offered does not always match up with the work schedules of most agricultural employees. As a result, these childcare programs are not being utilized which puts added stress on families. While there will always be a need for affordable housing in Sonoma County, meeting participants have highlighted the value and benefit of housing situated within local communities instead of housing being located in rural areas lacking access to shopping, schools and medical care. Thus, when the Foundation was made aware that a funding gap was delaying the construction of Ortiz Plaza, a 30-unit affordable housing community for agricultural workers and their families, it reached out to the local wine community and raised nearly $100,000 to ensure construction of this first-of-its-kind affordable housing project in Sonoma County. Those who generously responded to support this project with a financial donation included the Balletto Family, Lasseter Family Winery, Rodney Strong Wine Estates, The Rubin Family of Wines, Sangiacomo Family, and Vino Farms, LLC. Additional financial support came from winery partner Jackson Family Wines in partnership with the Sonoma County Community Foundation. The new Sonoma County Grape Growers Foundation Board Members are: Duff Bevill, owner of Bevill Vineyard Management, Terry Lindley, chief marketing officer of American AgCredit, Hugh Reimers, president of Jackson Family Wines, Ron Rubin, owner of The Rubin Family of Wines, and Lisa Wittke Schaffner, executive director of the John Jordan Foundation. They join existing board members Joe Dutton, foundation board chair and co-owner of Dutton Ranch, John Balletto, owner of Balletto Vineyards and Winery, Vicki Michalczyk, retired Sonoma County grape grower, Kevin Barr, chairman of the Sonoma County Winegrape Commission and co-owner of Redwood Empire Vineyard Management, Charles Karren, co-owner of Terra de Promissio Vineyard, Richard Rued, owner of Rued Wines, and Steve Sangiacomo, partner of Sangiacomo Vineyards. 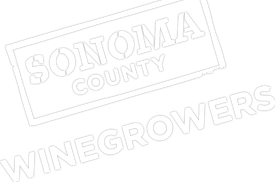 The Sonoma County Winegrape Commission, also known as Sonoma County Winegrowers (SCW), is a marketing and education organization dedicated to the promotion and preservation of Sonoma County as one of the world’s premier grape growing regions. SCW has oversight by the California Department of Food and Agriculture and seeks to increase awareness and recognition of the quality and diversity of Sonoma County’s grapes and wines through dynamic marketing and educational programs targeted to wine consumers around the world. In January 2014, SCW committed to becoming the nation’s first 100% sustainable winegrowing region by 2019. Currently, 64% of the vineyard acreage in Sonoma County has gone through the sustainability self-assessment and 48% of vineyards are certified by a third party auditor. These sustainability efforts were recently recognized with California’s highest environmental honor, the 2016 Governor’s Environmental and Economic Leadership Award (GEELA). For more information about SCW and its programs, visit www.sonomawinegrape.org.